African-American worker in a steel mill, Coatesville, PA, circa 1920. 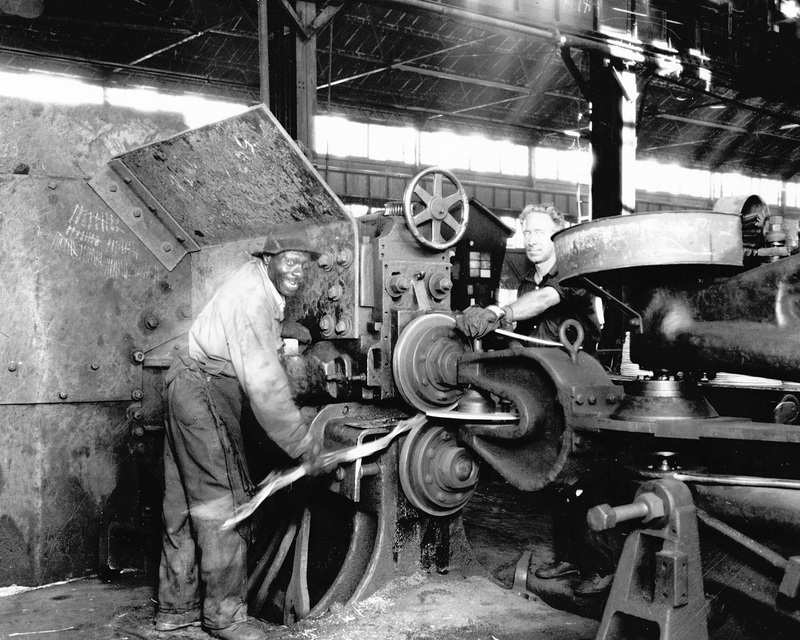 The outbreak of the World War 1 in 1914 and American entrance into World War II in 1941 opened the doors of northern industries to African American workers. Between 1910 and 1960 Pennsylvania's African American population surged from 194,000 to 638,000, and rose from 2.5 to 6.1 percent of the state's population.